Two Suitcases is a short film based on Ben Murnane’s experiences of living with Fanconi Anaemia, a rare genetic disease in which the bone marrow stops working properly. Two Suitcases focuses on the important role creativity played in Ben’s life during his teenage years. 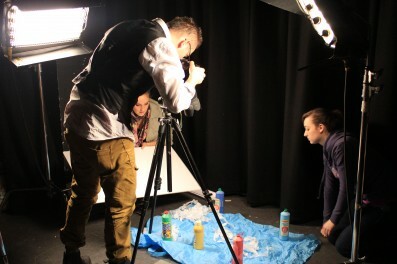 Ben’s story was filmed by teenagers with the support of artists and DIT film students as part of the Two Suitcases Project and will be screened in The Digital Hub, Dublin on 10 August 2012. Arts and health practitioners are invited to submit case studies of high quality arts and health projects to artsandhealth.ie. The case studies section of artsandhealth.ie showcases examples of arts and health projects in Ireland. This section provides a bank of well documented projects, of artistic merit, which are delivered by professional artists across a diversity of art forms and contexts. Background structures and partnerships are included to give an overview of the provision for arts and health practice. Please see http://www.artsandhealth.ie/case-studies/ for examples of case studies.